.anotherclicheddesign: DFA Records Day 1: DFA Appreciation! 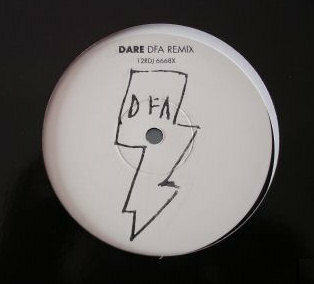 DFA Records was started in September 2001 by Tim Goldsworthy, James Murphy and Jonathan Garkin. 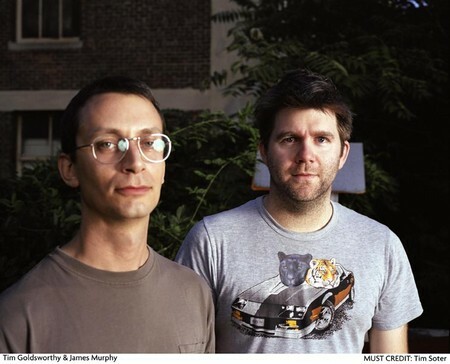 James Murphy and Tim Goldsworthy first met in New York when they where both working on David Holmes's album Let's Get Killed. After recording the album Tim decided to stay in New York and with James started throwing parties in the Lower East Side. The pair wanted to start and run their own label but that only happened when they met with Jonathan who when told about the idea, left his event production job and the three started Death From Above. 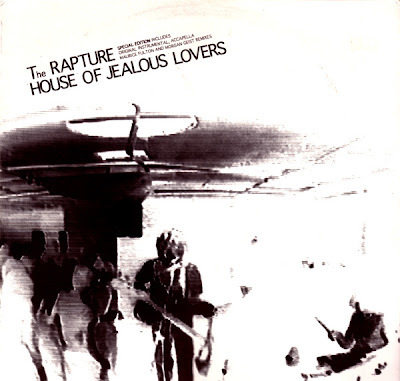 DFA started out by releasing a serious of 12" kicking off with The Rapture's House Of Jealous Of Lovers and The Juan Maclean's By The Time I Get To Venus. Many releases where released in Europe through Trevor Jackson's Output Recordings. After releasing the full length album Echoes by The Rapture, the band left DFA and went on to sign with Universal Music Group. DFA then signed a distribution deal with EMI to distribute outside of America and signed various distribution deals for distribution in America. Since it's birth, DFA has been going from strength to strength and it keeps on growing. Constantly relasing quality LP's, EP's, 12"'s and various compilations. DFA has releasedfor several artists and has even brought out releases through sub labels such as Death From Abroad (for artists outside of North America) and Supersoul Recordings. They have also re released cult albums by the band Pylon. Not only that but they have a strong army of acts on the label. It is also said that there was a day spent with Britney Spears writing songs. Originally, the label was called Death From Above Records dating back to James' nickname that he received way back when he built a soundsystem for Juan Macleans' band; Six Finger Satellite but due to events of 9/11... it was deemed unsuitable for a New York based label to be named such a thing. People might not know that name disputes don't just stop at terrorism. 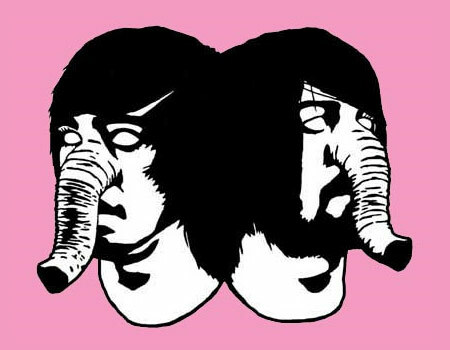 There was also a dispute between the band Death From Above 1979 who after some kind negotitians from Murphy and the gang, they added the 1979 to end of their name. DFA is also seen as the centre of the modern Dance- Punk scene. The Dance- Punk genre is almost like a resurgence of NY's underground scene between 1978 and 1982. Influence of bands like Talking Heads, Blondie and Liquid Liquid can be heard through DFA's back catalogue as well as bands like New Order. However, instead of just retreading old ground, the acts on DFA have taken live dance of the time but have combined it with modern recording/ music making techniques. Making the sound faster, heavier, dubbier, noisier and a lot mor intense than their influences. So there you go, the first post of my DFA Week. I was intending on posting once each day but I am so passionate about DFA so maybe I will post a couple times a day but I don't know. My next post will be looking at my personal favourite DFA act; lcd soundsystem.